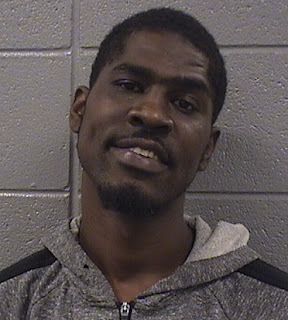 A man on parole for narcotics has been charged with burglary after a Wrigleyville woman allegedly saw him in her house one day—and then saw him come back two days later. The woman, who lives in the 3500 block of Fremont, called police around 8:30AM on May 26 after an unknown man ran out of her apartment when she opened the door. Exactly three days later, at 8:30AM on May 29, the woman called 911 to report that the same man was ringing doorbells in her building’s vestibule. Police searched the area and arrested Ashanti Ricketts, 31, as he attempted to board a train at the Sheridan Red Line station. He was positively identified by the victim. According to court filings, police found a copy of the victim’s apartment key in Rickett’s back pocket during arrest processing. In between visits to the woman’s house, Ricketts appeared in court on a battery charge stemming from an incident at Clark and Belmont. Charges were dropped when the witness failed to appear. Ricketts, of Homan Square, was paroled in November 2013 after serving a fraction of a 5+ year sentence for narcotics. His previous prison tours include 3 years for narcotics in 2004 and one year for narcotics in 2007. A member of the Gangster Disciples street gang, according to police, Ricketts is currently held without bond.